Foot and Ankle Specialists of Corpus Christi is a full service practice with on-site office x-ray facilities, MRI and hospital radiology services, hospital laboratory services, biomechanical evaluation and orthotic construction, minor emergency office treatment facility, minor surgical procedure room and cast room. Our office provides digital x-rays including CD copies when requested. We also provide in-office surgery for certain procedures. For this service, you will also be provided with in-0ffice anesthesia through Anesthesia On The Go. Read more about this service . 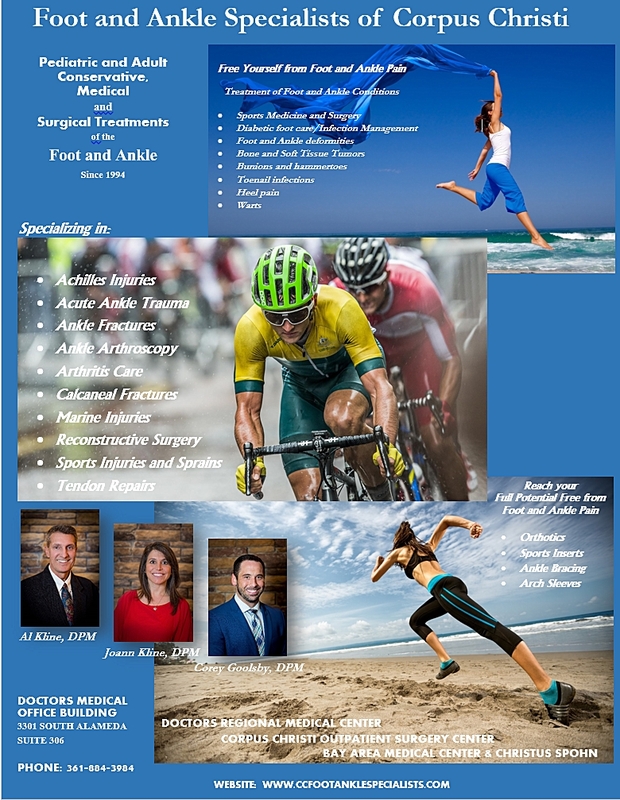 . .
Below is a list of common foot and ankle disorders that we treat through medical, surgical and biomechanical techniques.